Michele Thoren Bond serves as an assistant secretary at the State Department and heads the bureau of consular affairs. Bond, a career member of the Senior Foreign Service, leads a team of approximately 13,000 consular professionals worldwide who are tasked to protect the interests of U.S. citizens overseas and facilitate legitimate international travel. She was acting assistant secretary of state for consular affairs from April 2014 until her official appointment to the post on Aug. 10, 2015. She previously served as U.S. consul general in the Netherlands and U.S. ambassador to Lesotho and also held other diplomatic assignments in Guatemala, Serbia, the Czech Republic and Russia. 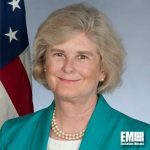 She has worked as deputy assistant secretary for overseas citizens services at the State Department, director of the bureau of consular affairs’ public outreach office and director of consular training at the National Foreign Affairs Training Center. Bond holds a bachelor’s degree in American studies from Wellesley College and a master’s degree in international relations from Georgetown University.